Sophie accidentally wandered into Armature 11 years ago and hasn't left since. We snapped her up. Even in those early days, we knew a good thing when we saw it. Other than breaks to have her children, Ned and Freya, she's been an Armature stalwart ever since, teaching every timeslot and class style Armature offers. Her kind manner and sharp wit, combined with cueing skills that can't be topped, make her one of the clinical studio's most sought after teachers. Born and bred in Adelaide, Pilates-trained in Bristol through Pilates Foundation UK, Sophie hit her teaching stride in Melbourne as she apprenticed with notable instructors including Armature's own Sarah Grimshaw. She continued with a Diploma and an Advanced Diploma with Pilates ITC as well as a Diploma of Shiatsu and Oriental Therapies. 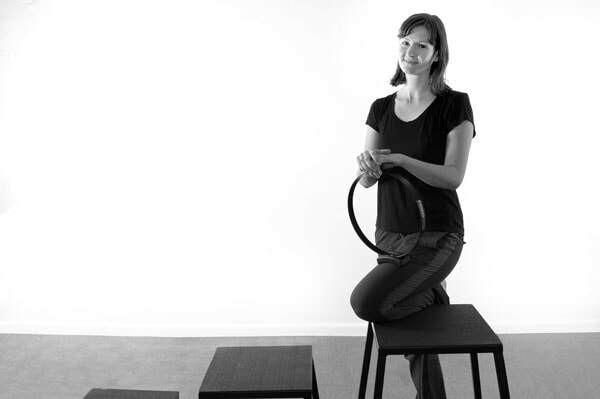 She's a Level III member with the PAA (Pilates Alliance Australasia). ​Little known fact about Sophie: She used to be the bassist in a Pogue's cover band.